I always wonder what this one looked like in 3-D since the cinematographer was the great John Alton, but agree Biff Elliot was a mistake in casting. I thought you lived in Syracuse? Well anyway, the guy I was talking about lived off the Mohunk Rd. close to High Falls. Originally, this was supposed to come out in 2009, but Robert Downey Jr. also wanted to play Holmes at another studio, and had more money. I'm wondering if there isn't something to be read into Ferrell's inexplicable preoccupation with "current-movie" parodies of Downey's boxing-Holmes. 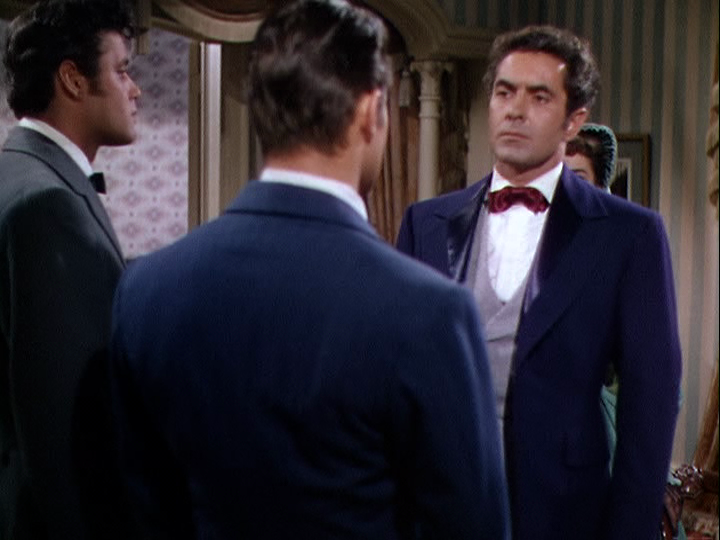 Technicolor costume adventure/drama with Tyrone Power as a 19th century riverboat gambler. He partners with old con-man John McIntire and the two make a fortune, but run up against various problem with New Orleans society. Also starring Piper Laurie as the rich girl Power loves, Julie Adams as the girl he rescues, and John Baer and Ron Randell as the antagonists. 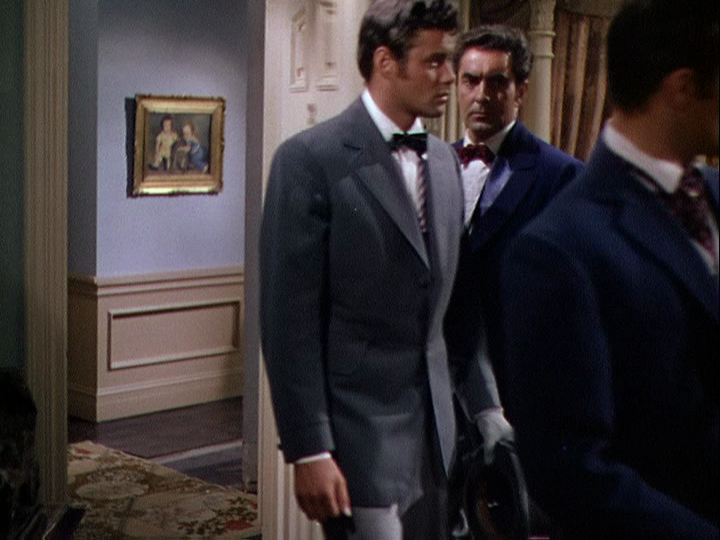 Also featuring Paul Cavanagh, Ralph Dumke, Robert Warwick, William Reynolds, Guy Williams, Dennis Weaver, Hugh Beaumont, and Anita Ekberg in her debut. This is a well-produced spectacle with good script work and solid direction. Things slow down a bit in the last act, but overall it was a worthwhile watch. This was the last major Tyrone Power film that I hadn't seen (there are a still 3 of his early bit parts I haven't watched), and it was a good note for him to go out on. This was his first film away from Fox (this was from Universal), and Power made more money from this film than any of his earlier ones. Musical biopic of rock singer Freddie Mercury (Rami Malek), tracing his inauspicious beginnings as a Heathrow baggage handler with rockstar aspirations who later finds some kindred spirits and forms the band Queen in the early 1970's. Their rise to chart dominance and worldwide fame is depicted, as well as Mercury's struggle with his sexual identity clashing with his conservative Parsi upbringing. He eventually descends into drug abuse, sexual promiscuity and toxic egotism, before finding redemption with the band's Live Aid performance in 1985. Also featuring Lucy Boynton, Gwilym Lee, Ben Hardy, Joseph Mazzello, Tom Hollander, Aiden Gillen, Allen Leech, Aaron McCusker, and, in a bit of in-joke stunt casting, Mike Myers. This is a movie for Queen fans (of which I'm one), but there are no stark revelations depicted here that most fans haven't heard of before. And this is certainly a Freddie Mercury film; if anyone was hoping for more depth on the other three band members, they'll be disappointed. I read the (many) complaints about this film when it was released: that it was too tame (it has a PG-13 rating, but it still manages to show enough to get the point across), that it doesn't delve into Mercury's homosexuality as much as it should have (I'm not sure what they wanted, as the film spends a great deal of time on the subject), and that the film ends prematurely with the Live Aid performance. As to the third charge, I can understand wanting to end it on a high note, and that the remaining 6 or so years of Mercury's life were a slow decent into AIDS-related medical horror. I read a Mercury biography in the last couple of years that didn't skimp on the gory details, and I can appreciate the filmmakers' reluctance to dwell on that aspect. The Mississippi Gambler is unique as it is, to the best of my knowledge, the only time that a former film Zorro shared the screen with a future one. The role would be a highlight in both of their careers. The central draw here, outside of the music, is the performance of Rami Malek, which looks poised to win him an Oscar after already garnering him several awards in the previous weeks and months. He is phenomenal, mixing deft mimicry with expert showmanship, attention to emotional nuance, and providing an illumination on the quixotic individual he's portraying. And he's helped by some expert dental prosthetics, too. I haven't seen all of the nominated films yet, but I can say that Malek gives one of the best performances of last year, and his winning the Oscar would not be a travesty. I agree with about the music and Malek's performance. I first noticed him in a small role as a "newbie" social worker in "Short Term 12." Of the nominated Best Actors I have only seen Malek and Bradley Cooper in "A Star Is Born" and Malek is the best choice so far. It does play fast and loose with the facts however. The scenes of Freddy meeting an AIDS patient (saying Ay-oooh) and making up with his strict religious father were syrupy movie moments. I also wish we saw more about his band mates lives, who were also very talented and interesting people. OOPS, NO THAT'S WOODY ALLEN SHAVING. 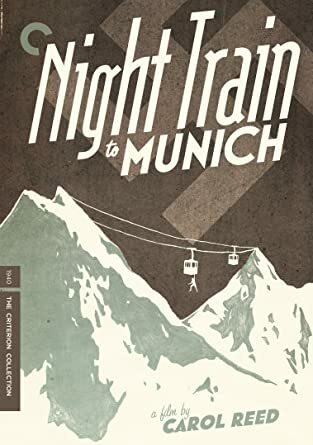 I caught NIGHT TRAIN TO MUNICH (1940)- a British film by CAROL REED (whose films interest me more and more) that really, in spite of being something of a redux of THE LADY VANISHES from two (or less) years earlier, is so cheerful and bold in its derivative manner and pretty well-done to boot, with a pair of really outstanding performances from REX HARRISON and a Surprisingly multi-faceted PAUL HENREID, billed PAUL VON HERNREID, that it's fine. A pair of supporting characters- names, actors, and everything- from THE LADY VANISHES even make a second appearance in this film PRESTON STURGES style, except they play an even more important role in NIGHT TRAIN. Yes, as I mentioned, I read a Mercury biography in the last couple of years, and so noticed a lot of factual flubs and "dramatic" compression of time frames and other details. I let most of it slide because I appreciate the need to do that sort of thing for narrative reasons, and it's not a documentary, after all. Mercury never really reconciled with his father in real life, as far as I recall, and the main reason that he stayed closeted (or as closeted as he was; it's not like it was hard to guess the truth) was for fear of the disapproval from his mother, who he was always partial to. The film also states that the band hadn't played together "for years" prior to their Live Aid performance in July of 1985. However, they had recorded and released their album The Works in 1984, and performed a world tour together from August of '84 through May of '85. I still enjoyed the movie, probably due to the lowered expectations I had thanks to the initial reviews. I know that nickname made him mad, but it was just SO right. Christian Bale is wonderful in Vice but, sadly, he'll be another bridesmaid. I wouldn't mind seeing him win, although I haven't seen the movie yet. Same goes for Viggo Mortensen, whom I'm a fan of, although I haven't Green Book, either. In fact, Bohemian Rhapsody is the only Best Actor nominee I've seen (A Star Is Born and At Eternity's Gate being the other two). I still say Ethan Hawke and Joaquin Phoenix were robbed of nominations, for First Reformed and You Were Never Really Here, respectively. The second directorial effort of Paul Newman by an actor in search of a hit in the years immediately following Butch Cassidy, this film casts him as the oldest son of the Stampers, a family of Oregon loggers during the 1960s. With patriarch Henry Fonda and brother Richard Jaeckel, along with the two brothers' wives (one of them Lee Remick) they are determined as independent loggers to keep doing exactly that in spite of the fact that the nearby logging union town is on strike. They resist all pressure from those local loggers to temporarily shut down their business, despite resentment, acts of sabotage and hints of violence from their neighbours. Scabs to those neighbours, the Stampers pride themselves in their fierce independence. Newman's low key skills as director are on effective display in this affecting drama, particularly in the scenes involving the logging operations, with trees felled and their giant trunks hauled up hills by machinery. It's a taxing operation with obvious physical perils but expertly handled by the two sons and their coworkers (the father is off work, his left arm still in a cast from a logging injury). But a third son comes along at the film's beginning, Michael Sarrazin, returning home for the first time in years for reasons of his own after having gone through a tough, even suicidal, year. Papa Fonda doesn't expect much from the long haired city boy "softie" who returns to Oregon but he will be pleasantly surprised. It was a little disconcerting for me to see so many trees coming down in a film that doesn't question the gradual r a p i n g of forests by the logging industry, especially as the family has to travel miles to get to the beginning of the tree line after the previous devastation. Deforestation is not a word uttered in this film's screenplay, the emphasis, instead, upon the hard headed determination of the Stampers to make a living the only way they know how. The performances are convincing, though Remick's portrayal of a dissatisfied wife remains vague. 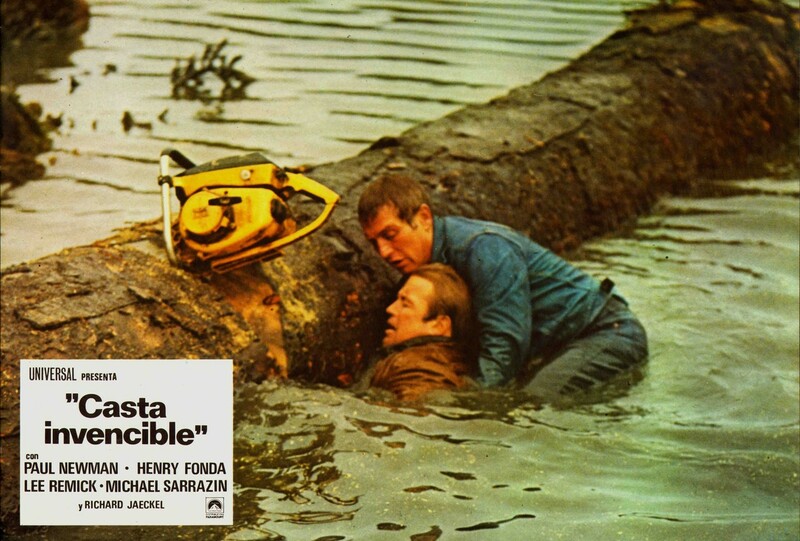 Newman acts in and skilfully directs the film's most harrowing and memorable scene in which Jaeckel is trapped underneath a giant trunk in the river as the water starts to rise. The actor, whose characterization in the film is a cheery good natured delight, won the actor a supporting actor Oscar nomination. I still recall him years before as a trigger happy punk in Gregory Peck's The Gunfighter. His characterization here is an engaging contrast. Sometimes A Great Notion was not particularly successful at the box office. Perhaps its literary allusion sounding title didn't help (Never Give A Inch, which it was renamed in some later television broadcasts, perhaps is more appropriate and makes more sense). Nevertheless, the film, which has some lovely photography capturing the beauty of its Oregon setting, is well worth a look. I found it, for the most part, quite dramatically engrossing. He doesn't look like a boxer. In fact, he looked rather silly during the boxing scenes at the beginning. However, a lot of movie boxing from the 30s-50s looks goofy, like people who have never actually seen a boxing match staged them. There are some exceptions of course. Maybe boxing just looked more amateurish back then? Doubtful. I've never cared for Payne. He's one of those middling leading men whose faces I couldn't pick out of a lineup if asked to. But I thought he was good in this movie. Well, he didn't make a career of it. He did it to make some money. I just read this on Wikipedia: "To support himself, he took on a variety of odd jobs, including wrestling as "Alexei Petroff, the Savage of the Steppes" and boxing as "Tiger Jack Payne"
I have yet to see this film but have wanted to. I think TCM has shown it once or twice. I remember it being a disappointment at the time with critics and the box office. Newman took over the director reins mid-filming. Don't recall what the problem was exactly. He didnt start out as the director. Military/sports comedy with Bob Hope as a boxing coach who accidentally joins the US Army. 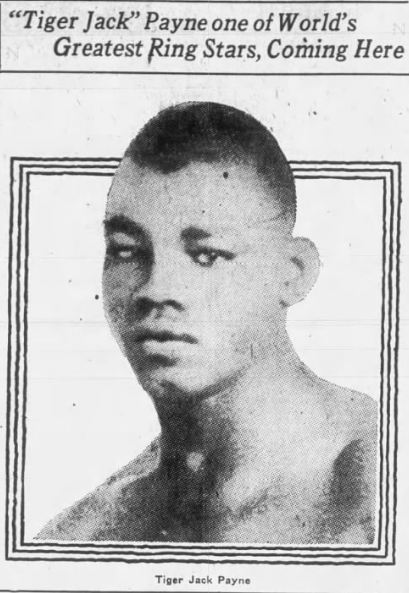 He meets eager young would-be boxer Mickey Rooney who pleads with Hope to turn him into a champion pugilist. Wackiness ensues. Also featuring Marilyn Maxwell, Eddie Mayehoff, Stanley Clements, Jack Dempsey, Marvin Miller, Tom Harmon, Norman Leavitt, Joan Taylor, Carolyn Jones, Mary Murphy, and Charles Bronson. Blandly filmed and only marginally amusing. 99 River Street is my favourite of John Payne's interesting transition from (somewhat sappy) musical star of the '40s into convincing late 40s-early '50s tough guy actor as the years hardened his features. I think this film may well have his best performance, too. I think he's way better than just "not bad" in this hard boiled feature. One of the highlights in the film is when Evelyn Keyes (who is also excellent here) plays up to snake-in-the grass criminal Brad Dexter in a bar. Dexter looks like he was capable of anything, adding to the tension of the scene. As for his wrestling (if even that part is true), Tor Johnson would have kicked his a**.